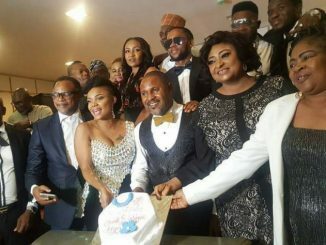 HomeNewsNollywood NewsToyin Abraham’s Ex-Husband Is Getting Married! Nollywood actress, Toyin Abraham’s (Toyin Aimakhu), ex-husband, Adeniyi Johnson is getting married to another actress, Seyi Edun. Nollywood actor and producer, Adeniyi Johnson started dating fellow film star, Seyi Edun just months after his marriage with Toyin Abraham ended. Now the new couple have released their pre-wedding pictures. Adeniyi Johnson’s marriage to Nollywood actress Toyin Abraham crashed in 2015, after a low-key traditional wedding in February 2013 and a court wedding on July 8, 2013. The marriage did not produce any children. 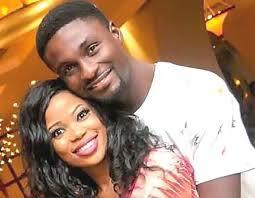 Following the marriage crash, Adeniyi met and started dating fellow actor, Oluwaseyi Edun. After 3 years of dating, Adeniyi Johnson finally ‘popped the question’ and they are now preparing for their wedding.